Come to think of it, the above lines express the reason for the existence of this blog site. ‘That wear(e) this world out to the ending doom’ – that Vere…. Curious, Whittemore. Is curious how the Poet is obsessed with immortallity. Time is a strong matter in the Sonnets. Sonnet 55, Sonnet 81 and Sonnet 18 are the best example of this. While in Sonnet 18, Oxford is worried about Southampton’s royal blood/beauty but in Sonnet 55 and Sonnet 81 he is cleary worried about Southampton’s life and how is death could kill is beauty and love/royal blood from the documents and History itself. Yes, it’s amazing. In the first place Time is the time left in the reign, the time till succession, which is unknown, because Elizabeth could die any moment. Once the rebellion fails and Oxford knows the game is over, and that he must make a bargain to save Southampton’s life, Time becomes the ongoing record that will survive in the future. Time has beaten Oxford, but now Oxford is making a mighty effort to conquer Time by means of these sonnets, or I should say this sonnet sequence with its careful structure, along with the lines of poetry. He must make sure they survive, and can do that only if he makes them great, universal, etc. Time, the historical record, is a liar; people in the future will be told lies; but he is preserving truth. I see what you mean, Francisco. I had always thought it represented Elizabeth, because technically she is the one refusing to tell the truth, i.e., to name Southampton; but it really is Cecil in charge, isn’t it… He is the extension of the queen since he has the power … and, too, he will produce the records upon which history will be written. The future direction of England was in the power of Robert Cecil and he used it. Yes Whittemore. Cecil was almost in controll behind the scenes of the Rebellion. Don’t forget that “each hand hat put on Nature’ power/fairing the foul with art’s false borrowed face” in Sonnet 127. Which means that, now the Queen (Nature) is weak because of her age (and after Essex’ beheading, she enter in a depression), so Cecil (each hand, or everyone with power that is close to the Queen) has the power to decide who’s Elizabeth’s heir (“fairing the foul” is a reference to James Stuart, who isn’t fair because he is not a Tudor; the “art’s alse borrowed face”, in my point of view, is just there to give strength to the second image of “beauty”. And (once again) yes, you’re right. We have record of a “As You like It” to be performed at Wilton House in 1603. Is there some connections between the characters of such play to reality? But the word ‘third’ only once, in this sonnet can be found, as you show it in the Monument – 3rd Earl of Southampton. Probably according to Oxford’s intentions the sonnet number 3*33 ‘hides’ as many times as only possible this important number. But let’s see, where’s South: between East and West. What if Oxford did try to hide South(ampton) this way? Did he write any sonnet where he wrote in close lines about the Sun (Son) of Heaven AND East and West? Yes! Sonnet 132 – another one in the 33-line: 99 + 33 = 132 ! And between those eyes of East and West there are you yourself, South(ampton). I can’t know it for sure. But it’s allegoric enough for Oxford to use it for his (possible) purpose. I can’t rule it out – given (again) the circumstances, when he had to hide everything and had to use that little weaponry of poetry left to him. I’m eager to know your opinion. Hi Sandy — there is a lot of logic to it, but impossible for me to tell. I am more sure of the more obvious things, such as “all one” for the motto etc. But will study it more. Thanks. That’s more than enough for me 🙂 There might be things/assumptions which we believe or regard to be possible, but wouldn’t write about it say in a serious book like The Monument. I don’t think we should go by numberology. We are Oxfordians, not Baconians. I think we should look better at the verses without looking at words and try to find numbers. For example, in Sonnet 116 the “ever-fixed mark”, in my opinion, is Southampton. “Ever” is an anagram to “Vere” and an acronym to “Edward (de) Ver(e)” and the “mark” is Southampton. 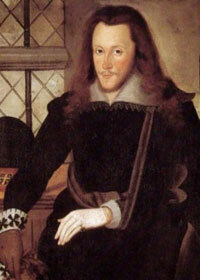 Oxford left Southampton, his son, as his mark. Southampton is, against everything, Oxford’s son and mark forever. My view of Sonnet 116 is that Southampton is Love/Royal Blood itself (like he would be in Sonnet 153 and 154). Southampton had been through very cruel situation (Essex Rebellion’s fail) but he “looks on tempest and is never shaken” (he had survived to death penality) and he’s “the star to every wand’ring bark/Whose worth’s unknown” (During the Essex Rebellion, England was through a dinastic crisis: Elizabeth was about to die and she didn’t had an heir. Southampton “worth’s unknown” is his right to be king and “the every wand’ring bark” is England in the middle of dinastic “chaos”). Hi Francisco, thank you for being so careful 🙂 But dealing with the numbers when discussing the sonnets is not something from the devil. Just remember the 12 lines in sonnet 126 : 12 6 pairs of lines. Or Hank’s great observation that the word ‘monument’ can be found in three sonnets, the difference between them 26-26. Or the counting of the words in the dedication of the sonnets – in The Monument you can find the facts about it. S, it’s no worse that say discussing who was Time at different phases: in the first 17 sonnets and then later on. In itself each topic might be fascinating, and worth to discuss. Yes, sometimes we err, then sometimes we do come up with something new… this is the way it is.